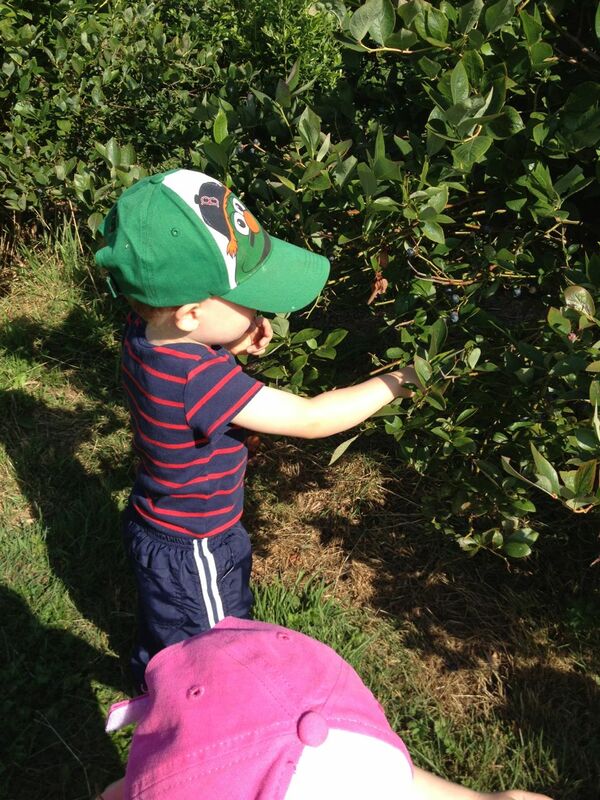 We took the kids blueberry picking with Ooma and Oompa last week. Every berry that Jamie picked went directly into his mouth. We had to make a rule that blueberries in the bucket stay in the bucket. Audrey and Theresa alternated between eating and picking for the buckets. We admired spider webs. We ran in the sun. We paid for 1.5 lbs of blueberries for almost an hour of 4 adults and 3 toddlers in the field. 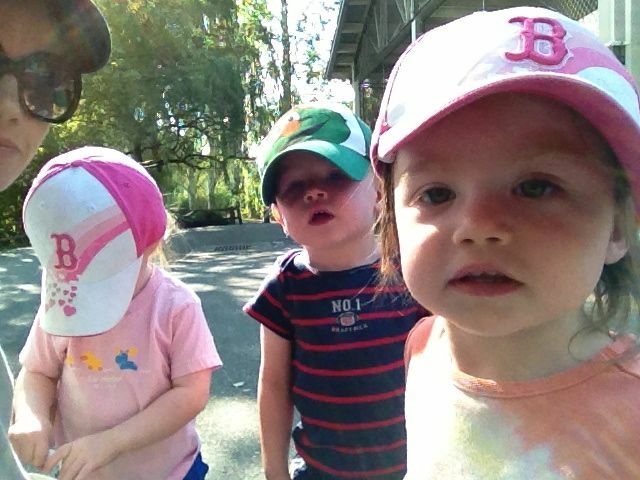 I’m pretty sure we should have weighed the kids before and after in order to pay for our fair share of berries. What we did manage to get home made its way into this pluot-blueberry crisp, based on Maya’s catch-all fruit crisp recipe. Mix fruit, honey (if using), and cornstarch in an 8×8″ or 9×9″ pan. Bake 45 minutes until golden and crispy on top. Awww. . . Karen and Alan did a version of that a bit older. . . strawberries, but my mother-in-law canned almost all of them with my grandmother’s help. . . and left us one jar. We loved every minute of it! So much fun!